No matter what the age of a building there is one simple universal truth; water is a buildings worst enemy. As the saying goes, if you can keep the water out & away from the building, it can last forever. 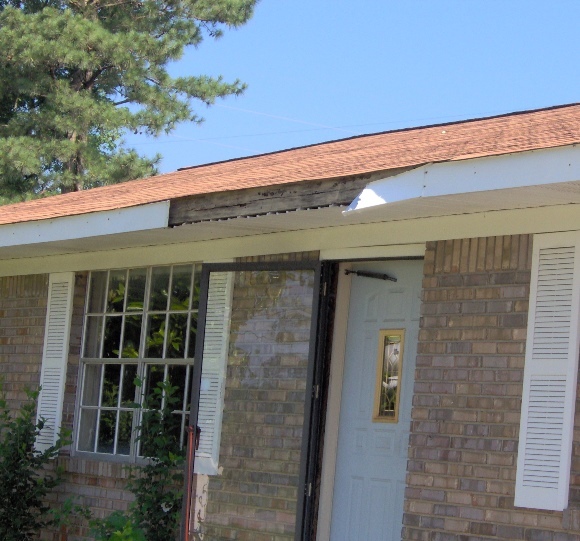 One of the most overlooked areas unfortunately happens to be your homes primary defense; the roof. 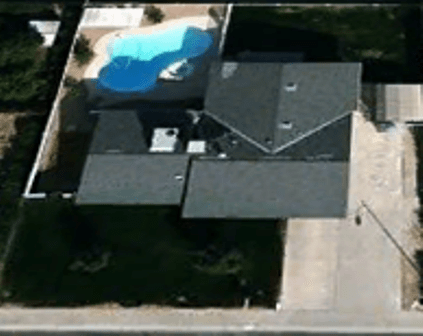 Not only does it get short shrifted by many designers & architects, but then we have some roofers that top this off by trying to save a few bucks. 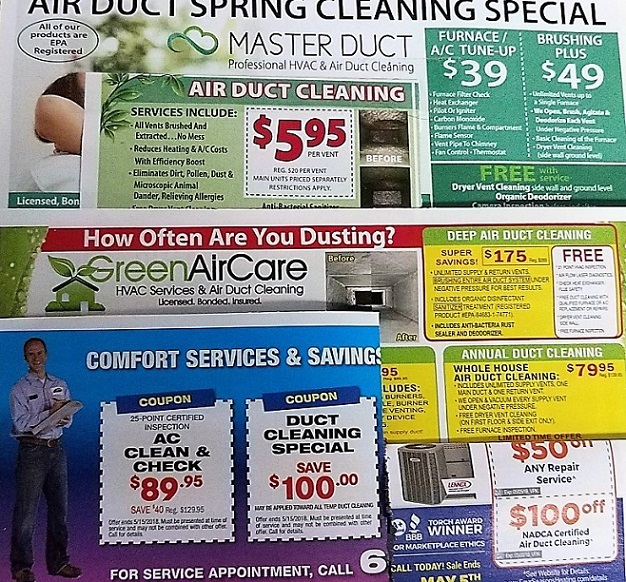 Then to add the proverbial cherry on top, we have homeowners that barely look up, much less take care of any needed maintenance. I don’t know if it is just this area, or what but I see so many issues revolve around the valleys. Maybe it is because they like doing the “woven” style out here while out west we trimmed the shingles back & used a “W” Flashing detail. 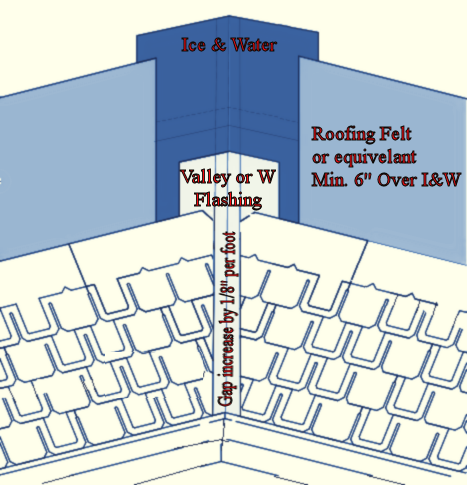 No matter which style you prefer, you should use a full 3’ wide layer of Ice & Water Membrane (I&W) in the valley. This is a diagram of my preferred method. You should first clean out the valley & lay down a 3’ strip of Ice & Water membrane & follow this up with a W Valley style flashing. I generally do this to help prevent the dreaded “what part of don’t walk in the valley didn’t you understand?” While some like trimming down 3-tab shingles for a starter strip (or add tar), I generally use starter strip & make sure it is laid out at the angle I need. 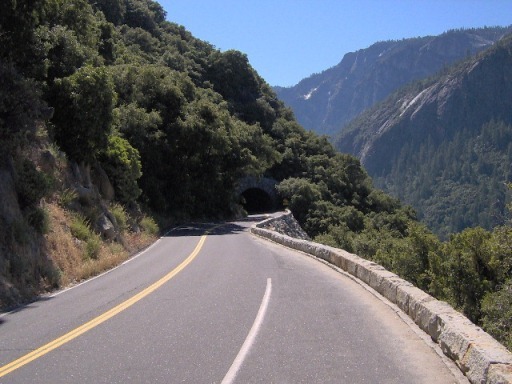 (At the top of the valley you should have a 2+” gap & it should increase by 1/8” of an inch for every foot of valley). 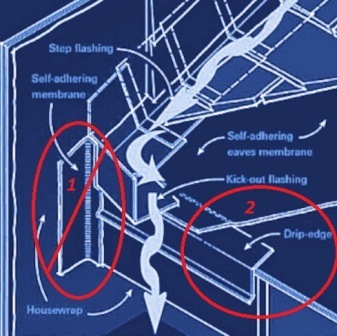 While this is a nice diagram of how these flashings work don’t forget our 5th design rule… “Think like a drop of water does.” Do you see the issue(s)??? We will actually get to the 2nd item in the next section, but you might notice the part we struck through – yeah that is not a good practice as any water that gets behind or under the flashings now only has one way to go & that is inside the structure. I generally prefer to wrap I&W up the vertical wall at least 6” to 8” and make sure it extends past the kick-out flashing. So why not just use Ice & Water as the flashing? Well the issue is UV rays degrading the material. As most sidings specify an inch or two gap that must be covered by another material that won’t be affected by the UV rays. 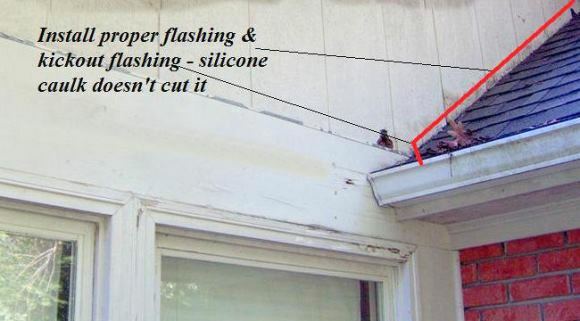 If you are going to use metal fascia, you really do need to use a drip edge. In fact I really can’t think of any reason not to use one. With that times have changed mainly driven by new materials and lessons learned with hurricanes, ice dams and the like. While we used to install the drip edge directly to the sheathing & then covered that with felt that no longer flies as most manufacturers require that the drip edge be placed over I&W. 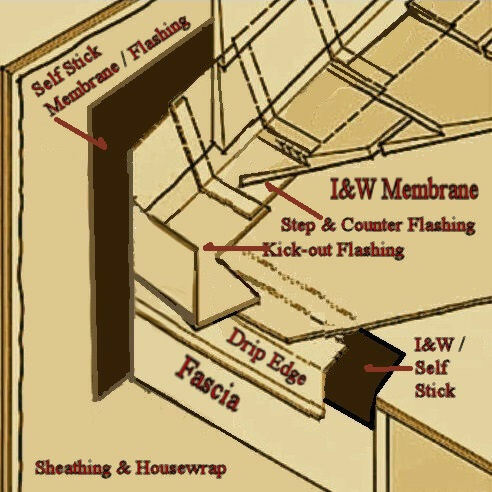 Unfortunately as we pointed out in an earlier piece most people stop the I&W shield short allowing for water to soak into the edge of the sheathing &/or into the fascia. The best method now to protect the whole structure is to use a 6” strip of I&W or self-stick membrane which wraps over the sheathing & onto the fascia. With this the drip edge should completely cover the front of this membrane. The final step is cover over this with I&W, felt or a synthetic overlay. If you really would like a belt & suspenders approach (or you quite simply live in a coastal or high wind area) you may wish to follow Florida’s example & tape all the sheathing seams before applying the overlay.